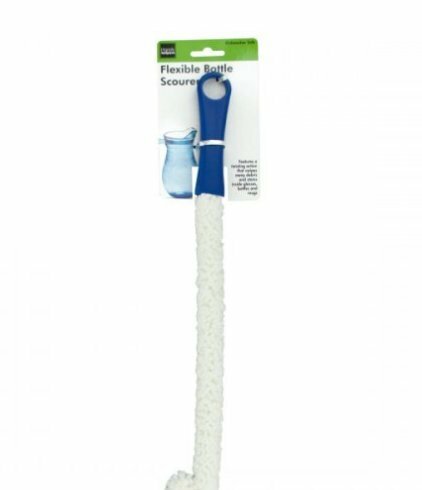 Easily clean bottles, glasses, mugs, pitchers and more with this Flexible Bottle Scourer featuring a long, durable foam bristle brush with a twisting action that swipes away debris and stains. Handle has a hanging hole for easy storage. Comes packaged with a tie card.